This is a spectacular pair of bronze Fu Dogs in XL size. They are made to guard landed property and bigger premises. Then can be cemented onto concrete pillars of the gate or platforms of entrances. The male has a globe under his paw while the female has a child under her paw. These ancient guardians have been used as potent protectors in imperial palaces, homes of high officials and rich merchants. In modern times, they are invited into homes to protect against theft and robbery, to help out working people who are not at home most of the time. This item is specially catered for the high end market, for offices, hotels, big buildings and mansions. What Fu Dogs symbolize and how to place this object? The name Fu Dogs are actually derived chinese "foh" (recited in chinese as Buddha) because these beings are found as stone mounting guardians at Buddhist temples. 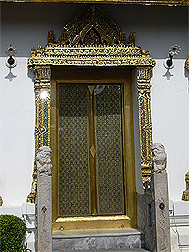 They are considered sacred in Buddhism, where most deities are depicted sitting on it. It is the emblem of wisdom, power and protection, which could be the reason why they are being embroidered on ancient chinese official robes. These powerful guardians are fun to own like a lovely pair of real dogs at our homes and are easy to tame. This powerful symbol provides potent protection and demon scaring for ancient palaces, banks, mansions, shops, malls, businesses, hotels and jewellery shops. Their faces may look like lions, but take note that they are different from the actual lions. The male is usually depicted holding a ball to signify important global network for business people outside and external protection, while the female holding a child signifies protection of members of the household or premise. The male is placed on the left (from inside looking out of your premise) and the female holding a child is placed on the right (from inside looking out of your premise). Ancient legend revealed that the Fu Dogs produce milk from their paws and enjoyed sporting with hollow balls. Therefore, ancient people place hollow balls in the jungle in hope of them leaving some milk onto the hollow balls. This is the reason why many chinese artpieces would show two Fu Dogs playing with the hollow balls. And these two Fu Dogs actually have the same significance as the two supreme Dragons playing with the pearl. The Fu Dogs are popularly known as defender of law and protector of buildings. The Fu Dogs provide ultimate protection, wards of evil spirits and harmful people, nourishes chi that enters homes, bring in happy blessings and dissolves bad chi from neighbourly formations when placed in front of your main door at either sides or raised high up on both sides of your main gate. 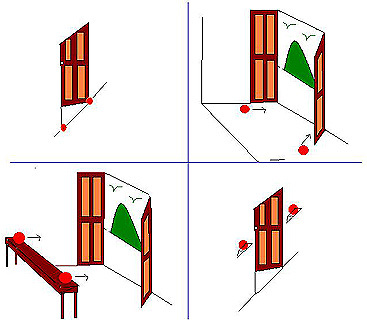 Place a pair of the Fu Dogs at the door front on either sides if the door is facing the lift, stairs or escalator to dissolve rushing bad chi. They can be placed on floor level or raised to higher level. We have seen many success stories of business people, high ranked politicians and important people whom have told us how their grand pair of the Fu Dogs brought them remarkable results in their premises (homes or shops or business buildings). They prevent robbery/theft, ward off harmful people, bring in more good fortune/ better sales and improve feng shui of entrances.